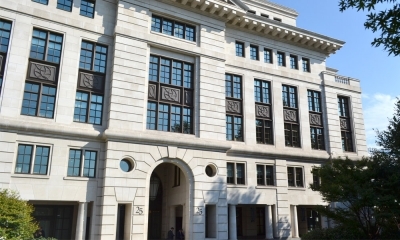 Recognised as one of the City of London’s most outstanding and prestigious landmarks. 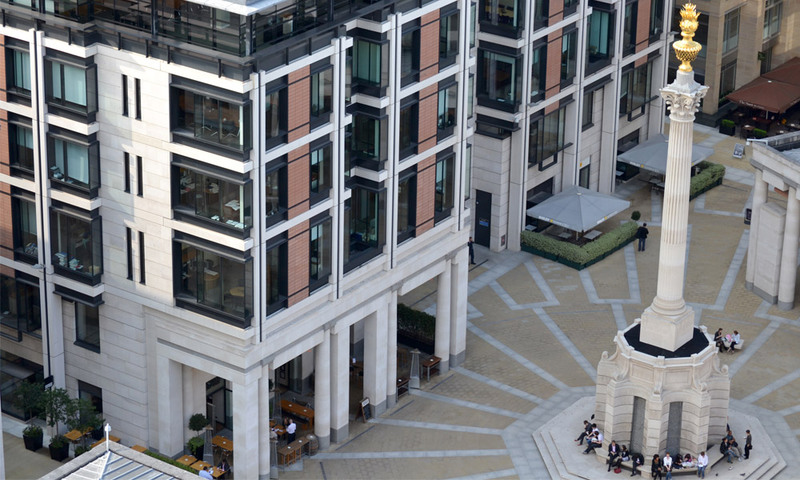 Located in Paternoster Square in London, St Martin’s Court was a £5m project. Overall the large site was created to provide 130,000 sq ft for a mixture of office and retail spaces. 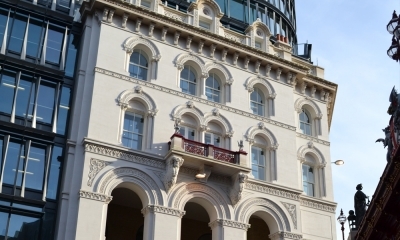 Portland Stone Firms provided its iconic Portland limestone for the cladding of 4 buildings. 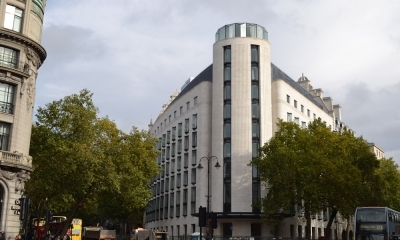 Over 1,230 m3 of limestone was needed to clad the Mason’s Yard building alone. This project demonstrates the ability of our mine and quarries to produce the quantities of stone needed by large building projects. 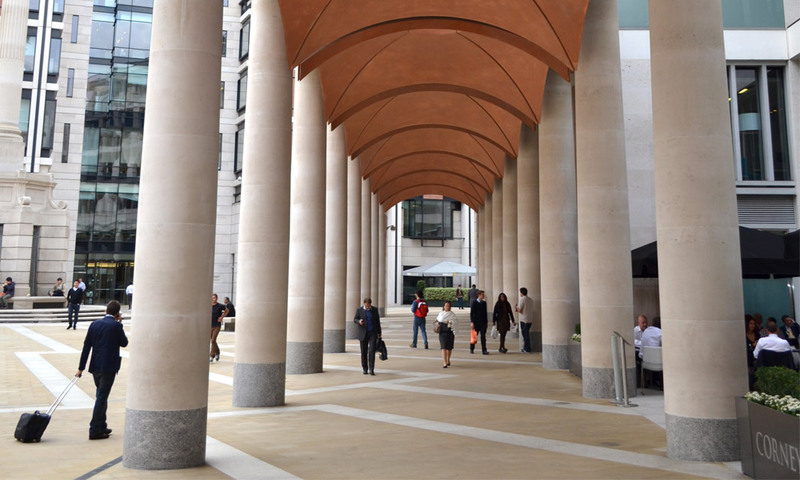 The circular column walk through used our turned natural Portland stone which was capable of producing the large sizes required for the project. Each turned piece displays the typical fossil shelling of Portland that is expected. 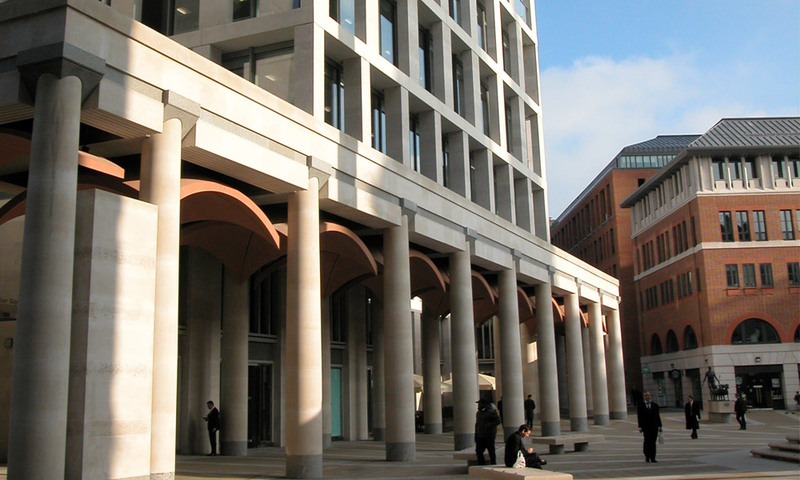 We provided and worked the stone for Paternoster Square Column. 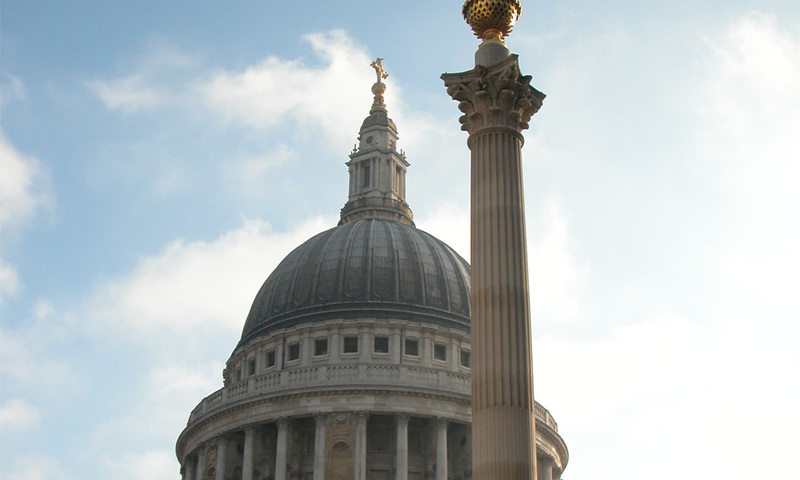 This is now recognised as one of the City of London’s most outstanding and prestigious landmarks. Stone selection: Coombefield whitbed – chosen for its proven history on projects and fossil patternation. 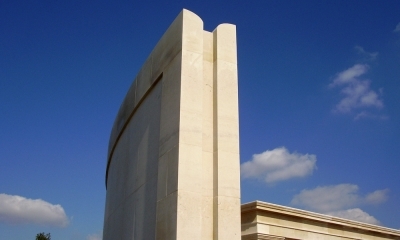 Leading supplier of Portland limestone. Crafting 145 million years of history into iconic buildings that can be seen worldwide.